Basement Windows: The Best for Leak-Proof Comfort - Basement Waterproofing, Inc. Basement Waterproofing, Inc. If your basement windows look like this, they probably aren’t doing a great job of keeping moisture out of your basement. Basement windows are important, because they provide both sunlight and ventilation for your cellar. They also help serve as a barrier to the outside elements, and when they’re in good shape and working properly, they keep moisture, yard debris and pests outside where they belong. But, like any other window in your home, over the years your basement windows can start to deteriorate. 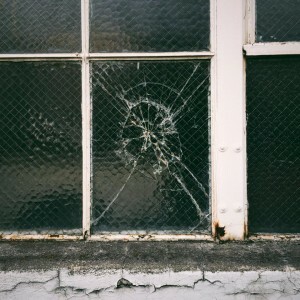 Wood rot, cracked glass and rusting are all factors homeowners should take into consideration when looking at the condition of their cellar windows. If you evaluate your windows and find that they’re not protecting your basement from the elements like they should, it’s probably time to consider a replacement. According to HGTV, function is a very important factor you should think about when choosing a replacement basement window. You’ll want to install windows that are easy to maintain, and keep moisture outside. Triple pane windows are an ideal choice if you’d like to make your basement more energy efficient and minimize your heating and cooling costs. Another important factor you’ll want to keep in mind is properly sizing your windows. If you’re replacing them yourself, mind the gap – basement windows that don’t fit properly allow water, air and even insects to eek their way into your basement – and that can cause you a lot of problems. Also, make sure the replacement windows are well insulated. A common basement problem is heat loss through windows, so adequate insulation will help prevent that – and save you money on your energy bills. When replacing your basement windows, make sure you look at your window wells, too, if you have them. Many older homes have steel window wells, and if you have them, you may want to think about replacing them with plastic ones. Steel is very sensitive to temperature and the elements, so a plastic well will function better with your new windows and help make them more effective. You might also want to invest in a window well cover, so you can keep items like dirt, grass, leaves, debris and water from collecting in your window well and causing problems with your windows. Of course, replacing your windows is only one factor when it comes to dampness in your basement. If you have cracks in your basement walls or flooring, excessive humidity, or mold and mildew problems, your best bet is to call in a professional like Basement Waterproofing, Inc. We’re the professionals you need when it comes to any basement moisture concern you might have. We have more than 30 years of experience helping people keep their basements dry. For your convenience, we’re fully staffed during normal working hours to answer your calls – call us at (800) 439-4951, and we’ll be glad to help.